AmedenLaw provides legal services throughout all of Southern Vermont. Drop me a Line. Thanks for reaching out. I will be in touch shortly. The Law Office of Gary Ameden concentrates in Vermont real estate law. Offering comprehensive advice on buying, selling and refinancing Vermont condominiums, homes and businesses. Gary Ameden’s practice also includes legal advice for small business entities, wills, powers of attorney and probate estates. Gary Ameden started practicing law in 1987 with Edgar T. Campbell in Manchester, VT. He was later a partner in the firm Winburn Kennedy and Ameden (which became Winburn and Ameden). Gary began a solo practice in 2000 at the current location of 4732 Main Street, Manchester Center, VT. After a varied practice that included criminal law, general litigation, planning and zoning, estate work and real estate he now focuses his practice on real estate law. Gary served on the Vermont Bar Association Title Standards committee for many years and is on the Board of Directors of Vermont Attorney Title Insurance Company. I will represent your interest as the purchaser. I view my role in your purchase as that of an advisor and counselor. If you have any questions about the transaction, at any time, you are encouraged to contact me. If you are the seller of real estate I can represent your interest in the sale of the property. I view my role in your closing as that of an advisor and counselor. If you have any questions at any time you are encouraged to contact me. I will review the purchase and sale agreement to determine what legal documents are required to close the transaction. I will prepare the documents you must bring to the closing and work with the buyer’s attorney if there are questions or concerns about your title or the transaction. This type of insurance protects against problems in the title to your property. It focuses on the past, not the future. Title insurance insures that your interest in the property will be secure as of the time that interest was acquired. For example, in the case of an owner policy, you are insured as of the time of purchase of the property. A mortgagee policy insures the lender as of the time the mortgage is recorded. Because the insurance covers against loss by reason of the existence of a title problem at a particular time, there is only a single premium which is paid at closing. I am licensed by the State of Vermont to sell title insurance. I am a member of the Board of Directors and an agent for Vermont Attorneys Title Corporation. When issuing a title policy a portion of the premium is paid to the title company and a portion is paid to me as the agent. I can issue both a mortgage policy and an owner policy for your transaction. I also deal directly with your lender in issuing title insurance if required. Gary Ameden was born and grew up in Manchester, Vermont. He attended Manchester Elementary School and graduated from Burr and Burton in 1973. Gary went on to major in political science at the University of Vermont, receiving a B.A. in 1977. Soon after graduating he went to work with a Washington, D.C. consulting firm and traveled to Alaska where he directed a number of statewide and local political campaigns. Gary stayed in Alaska at the conclusion of these campaigns and operated his own consulting services. Returning to Vermont in 1981 Gary clerked with the public defenders office and a local law office completing the four year Vermont Supreme Court Clerkship Program. He served on the Manchester, Vermont Select Board and was Chairperson for the Manchester Water Commission during the early 1980’s. In 1986 Gary married Lorri Black and moved over the mountain to Peru where they began raising four boys. Soon after moving to Peru Gary was elected moderator at the annual March town meeting and has served as Town Moderator since that time. 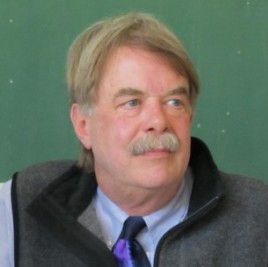 Gary has also served as Chair of the Peru Planning Commission, was a member of the state of Vermont District Environmental Commission #8 and is currently a member of the Londonderry Rescue Squad , the Peru Volunteer Fire Company and is a Justice of the Peace. Gary is also a member of the Vermont Bar Assoc., Board of Directors of Vermont Attorney Title Insurance Corp and Past President of the Bennington County Bar Assoc..
© 2017 AmedenLaw. All Rights Reserved.